If you’re searching for one of the most stylish, powerful sports cars on the road today, look no further than the new Dodge Challenger. 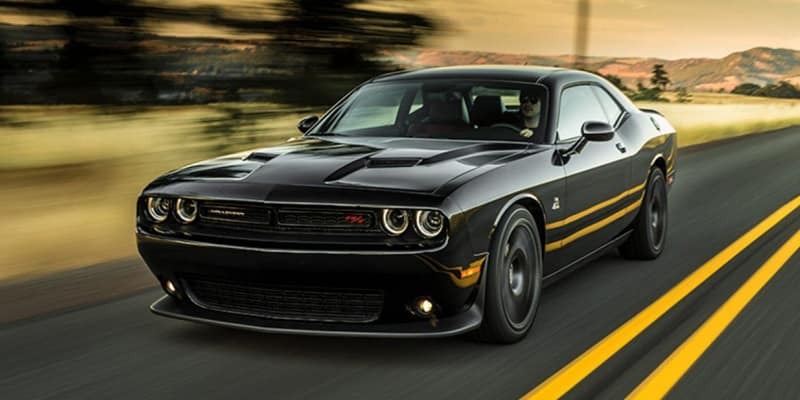 The Challenger offers everything you could want in your next automobile, including top-notch styling, road-shaking power, and convenient technology features. 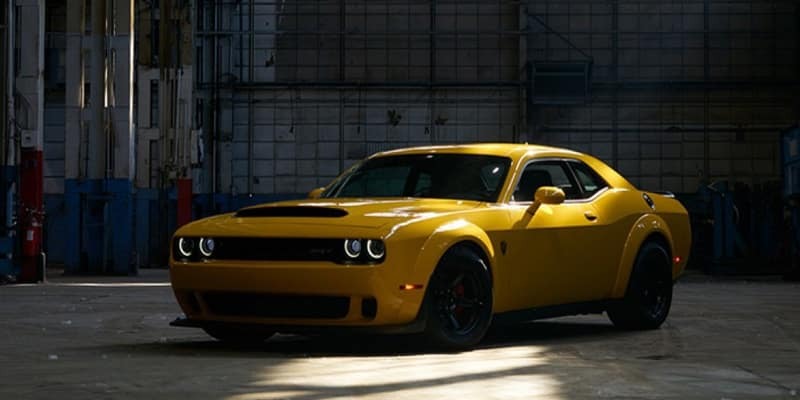 Take a closer look at the 2019 Dodge Challenger to help decide whether you should invest in this automobile. The Challenger features several world-class trim levels with noteworthy exterior features. The starting SXT trim offers equipment such eye-catching 18-inch wheels, and the GT trim offers a bold hood scoop and fog lights. The exterior of the R/T trim offers larger wheels and a sleek fuel filler door covered in chrome. The racetrack-inspired R/T 392 trim provides an unforgettable rear spoiler and a black fuel door. On the SRT Hellcat and Hellcat Redeye trims, you’ll notice unique badging and a dual-snorkel hood with a cold air intake. The engine lineup of the Challenger is second to none, and it provides several powerful options drivers everywhere will appreciate. The standard V-6 engine that you can find on the first two trims produces 305 horsepower and 268 pound-feet of torque. The 5.7-liter engine of the R/T trim outputs up to 375 horsepower and 410 pound-feet of torque. The R/T 392 features a 6.4-liter V-8 that is rated at 485 horsepower and 475 pound-feet of torque. Pick the SRT Hellcat for a V-8 engine that gets 717 horsepower and 650 pound-feet of torque. For the most power, choose the SRT Hellcat Redeye and its V-8 engine, which delivers 797 horsepower and 707 pound-feet of torque. The cabin of the Challenger offers a wide array of features. For superior comfort, this sports car is available with heated sport seats covered in premium cloth. For even more comfort and style, you can add ventilation and leather upholstery to your seats. In addition to these comfort perks, the new Challenger provides exciting technology features. Android Auto/Apple CarPlay smartphone integration comes standard, as does Bluetooth connectivity. If you want to connect to the internet on the road, you can add the optional Wi-Fi hot spot to your car. A premium stereo system is also available. The Dodge Challenger can be equipped with numerous safety features so that you will have peace of mind on every drive. Full-speed forward collision warning helps you avoid accidents whether you are driving around your city or on the highway, and adaptive cruise control makes controlling the speed of your vehicle much easier. Other available smart safety features include automatic high-beam headlamps, a Parkview rear backup camera, and blind spot monitoring. 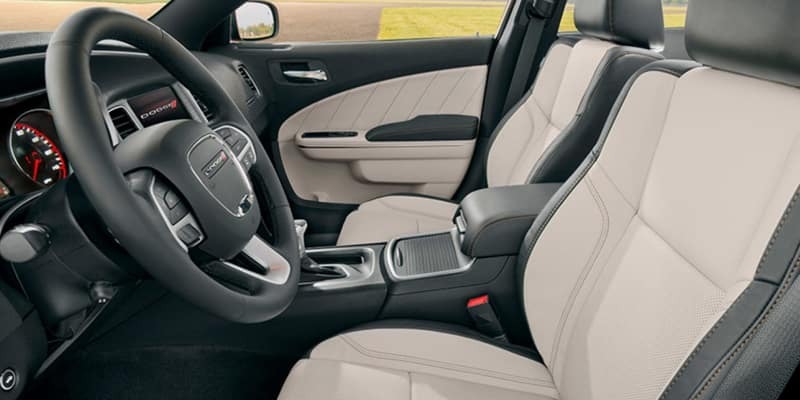 Now that you’ve gotten acquainted with the 2019 Dodge Challenger, discover it for yourself. Just schedule a test drive. * 6 Cylinder engine * * 2019 ** Dodge * * Challenger * * GT * Armed with a backup sensor, push button start, remote starter, backup camera, parking assistance, Bluetooth, braking assist, dual climate control, hill start assist, and stability control, you won't be able to get enough of this 2019 Dodge Challenger GT. It has a 6 Cylinder engine. Flaunting a beautiful blue pearl exterior and a black interior, this car is a sight to see from the inside out. Stay safe with this coupe awd's 5 out of 5 star crash test rating. Don't wait until it is too late! Call today to schedule an appointment. Call Josh Tharp at 317-839-6554 for more information or to start your EAZY DEAL at Westgate By submitting an inquiry on this vehicle you are agreeing and consenting to our dealership contacting you by telephone, text messaging or other means concerning your inquiry, potential vehicle sale or promotional offerings by our dealership and other information. By participating, you consent to receive recurring text messages sent through an automatic telephone dialing system. Message and data rates m. Contact Information: Westgate Chrysler, 2695 East Main Street, Plainfield, IN, 46168, Phone: (317) 839-6554, E-mail: jtharp@westgateauto.com. * 6 Cylinder engine * * 2019 ** Dodge * * Challenger * * GT * Buckle up for the ride of a lifetime! 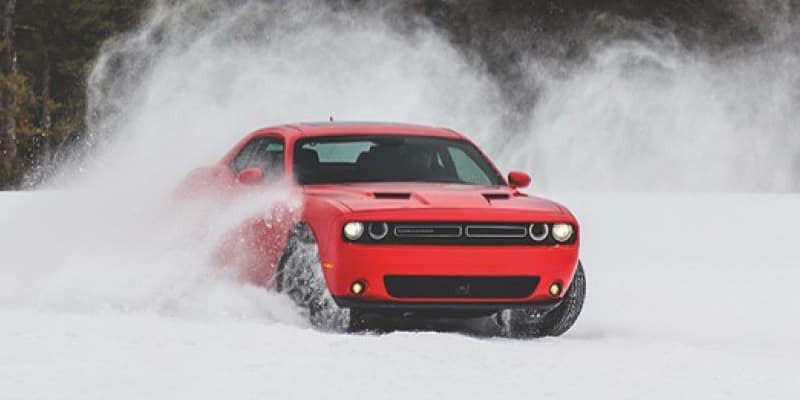 This 2019 Dodge Challenger GT includes a top-notch backup sensor, push button start, remote starter, backup camera, parking assistance, Bluetooth, braking assist, dual climate control, hill start assist, and stability control. It comes with a 6 Cylinder engine. Rocking a gorgeous go mango! exterior and a black interior, this car is a great pick. You can trust this coupe awd because it has a crash test rating of 5 out of 5 stars! Call or visit to talk with one of our vehicle specialists today! Call Josh Tharp at 317-839-6554 for more information or to start your EAZY DEAL at Westgate By submitting an inquiry on this vehicle you are agreeing and consenting to our dealership contacting you by telephone, text messaging or other means concerning your inquiry, potential vehicle sale or promotional offerings by our dealership and other information. By participating, you consent to receive recurring text messages sent through an automatic telephone dialing system. Message and data rates m. Contact Information: Westgate Chrysler, 2695 East Main Street, Plainfield, IN, 46168, Phone: (317) 839-6554, E-mail: jtharp@westgateauto.com. * 6 Cylinder engine * * 2019 ** Dodge * * Challenger * * GT * This 2019 Dodge Challenger GT is a real winner with features like a backup sensor, push button start, remote starter, backup camera, parking assistance, Bluetooth, braking assist, dual climate control, hill start assist, and stability control. It comes with a 6 Cylinder engine. Flaunting a ravishing red exterior and a black interior. Stay safe with this coupe awd's 5 out of 5 star crash test rating. Don't wait until it is too late! Call today to schedule an appointment. Call Josh Tharp at 317-839-6554 for more information or to start your EAZY DEAL at Westgate By submitting an inquiry on this vehicle you are agreeing and consenting to our dealership contacting you by telephone, text messaging or other means concerning your inquiry, potential vehicle sale or promotional offerings by our dealership and other information. By participating, you consent to receive recurring text messages sent through an automatic telephone dialing system. Message and data rates m. Contact Information: Westgate Chrysler, 2695 East Main Street, Plainfield, IN, 46168, Phone: (317) 839-6554, E-mail: jtharp@westgateauto.com. * 6 Cylinder engine * * 2019 ** Dodge * * Challenger * * GT * Make sure to get your hands on this 2019 Dodge Challenger GT with a backup sensor, push button start, remote starter, backup camera, parking assistance, Bluetooth, braking assist, dual climate control, hill start assist, and stability control before it's too late! It comes with a 6 Cylinder engine. Exhibiting a beautiful plum exterior and a black interior, this vehicle won't be on the market for long. This coupe awd scored a crash test safety rating of 5 out of 5 stars. Call today to test it out! Call Josh Tharp at 317-839-6554 for more information or to start your EAZY DEAL at Westgate By submitting an inquiry on this vehicle you are agreeing and consenting to our dealership contacting you by telephone, text messaging or other means concerning your inquiry, potential vehicle sale or promotional offerings by our dealership and other information. By participating, you consent to receive recurring text messages sent through an automatic telephone dialing system. Message and data rates m. Contact Information: Westgate Chrysler, 2695 East Main Street, Plainfield, IN, 46168, Phone: (317) 839-6554, E-mail: jtharp@westgateauto.com.